In this file photo, WhatsApp appears on a smartphone, Friday, March 10, 2017, in New York. Amid the turmoil of the Cambridge Analytica data scandal, WhatsApp co-founder Brian Acton on Tuesday told his Twitter followers to delete Facebook, CNBC reported. "It is time. #deletefacebook," he tweeted. 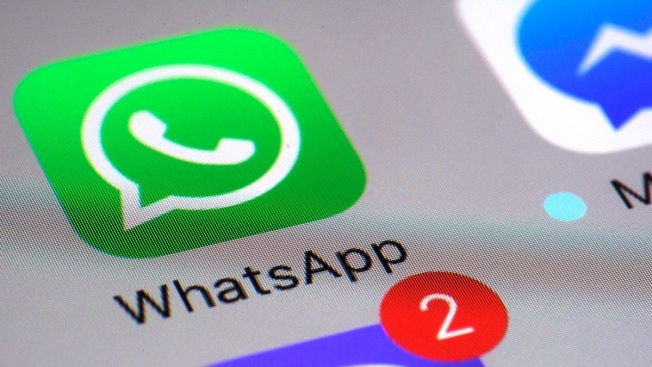 Facebook acquired WhatsApp for $19 billion in 2014. Acton remained with the company for several years before quitting to start the Signal Foundation earlier this year. His WhatsApp co-founder, Jan Koum, still leads the company and sits on Facebook's board. Facebook has come under fire this week after reports emerged that political data analytics company Cambridge Analytica accessed thedata of over 50 million users of the social media network without their permission.